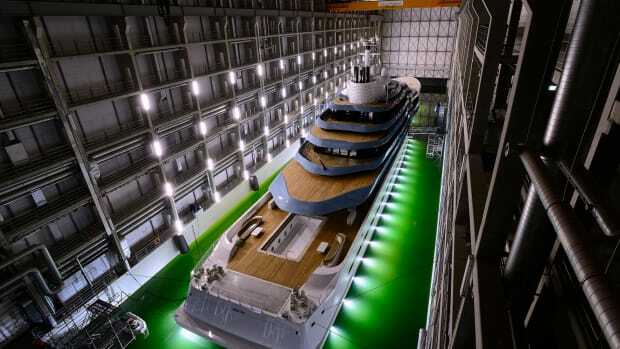 The 122-foot Mythos is the first yacht by Riva completely built in light aluminum alloy, as well as the largest yacht in the world ever produced by the Italian brand. 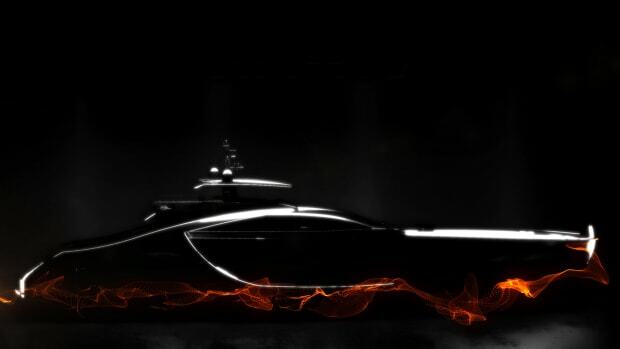 Set to make her North American debut next week at the Fort Lauderdale International Boat Show, the 122-foot Mythos is the first yacht by Riva completely built in light aluminum alloy, as well as the largest yacht in the world ever produced by the Italian brand. 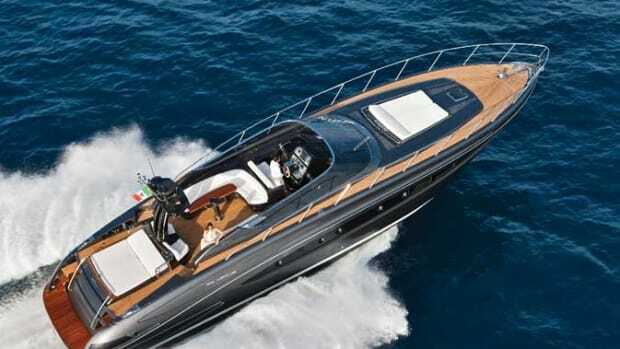 Built at the CRN shipyard in Ancona, Italy, Riva’s flagship Mythos is a 35-ton aluminum planing flybridge vessel. 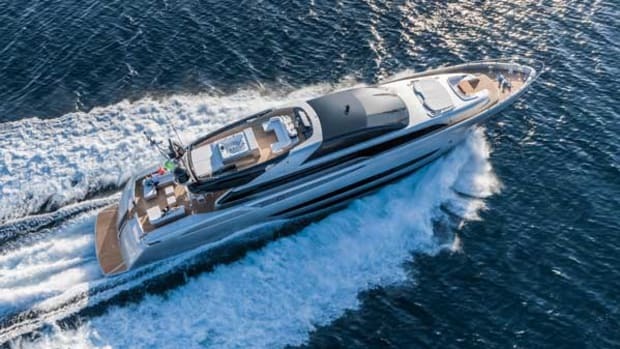 Her top speed of 28.5 knots at one-third load and maximum continuous cruising speed of 25 knots are delivered by twin 3,510-horsepower MTU 12V 4000 M93L engines. 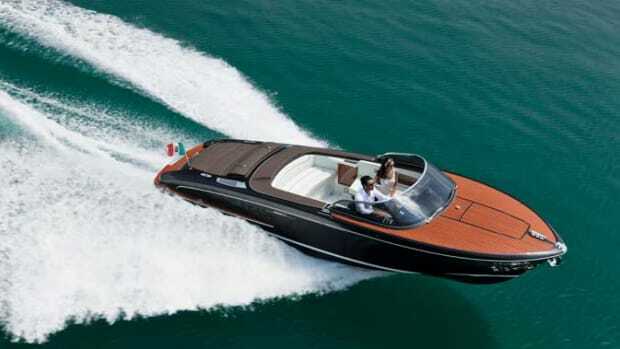 The Mythos achieves style points for her pure Italian design—clean, modern and truly timeless. 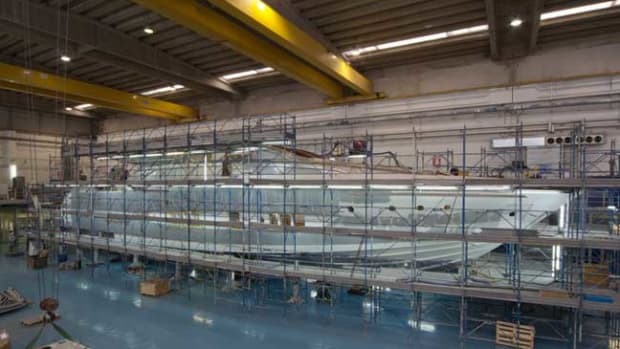 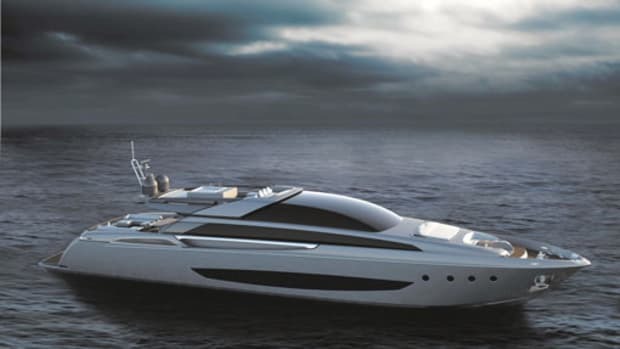 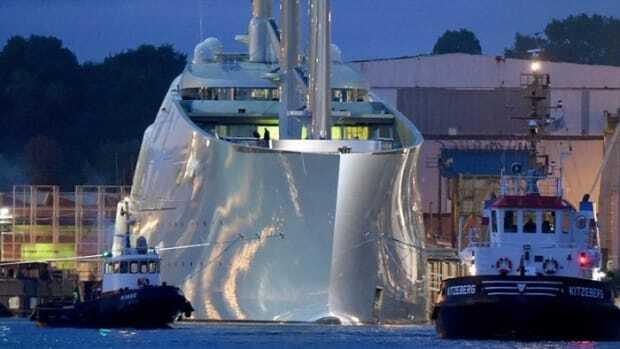 The yacht was conceived with an eye toward environmental impact reduction, which is the reason RINA classified the Mythos with its Green Plus notation. 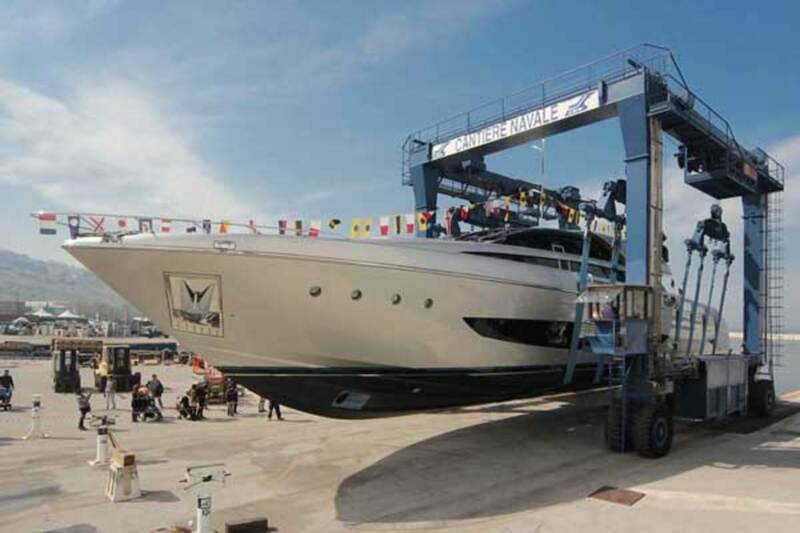 The lower-deck garage houses a 16-foot-plus tender and a Jet Ski, with an electrical/hydraulic platform perfect for diving or launching toys with ease.